Alejandro Garcia, Ph.D., currently holds the position of Professor, School of Social Work, Syracuse University, where he has taught in the areas of gerontology, social policy, and human diversity for over 30 years. He recently stepped down from the directorship of the School of Social Work. He is the immediate past Chair of the National Policy Council of AARP, and has now assumed regional representative responsibilities on the AARP National Policy Council. He is also a member of the Executive Council of AARP New York. In addition, he is the immediate past-Chair of the Board of Directors of the National Hispanic Council on Aging. He has also served as a vice-president of the Schuyler Center for Analysis and Advocacy (SCAA) and was recently made a Lifetime Honorary Trustee of the Center. He has served on the national boards of the National Association of Social Workers and the Council on Social Work Education, as well as the Commission on Accreditation of the Council on Social Work Education. Dr. Garcia presently serves on the editorial board of the Journal of Sociology and Social Welfare and recently stepped down as the book review editor of the Journal of Ethnic and Cultural Diversity in Social Work. He has also served as Consulting Editor of the Journal of Social Work Education, and ofSocial Work, the Journal of the National Association of Social Workers. In addition, he served on the Editorial Board of the 19th edition of The Encyclopedia of Social Work (1995) and its 1997 supplement. He has also served as a reviewer for a number of journals, including Families in Society:The Journal of Contemporary Human Services, Psychology and Aging, Mental Retardation, and The Gerontologist. 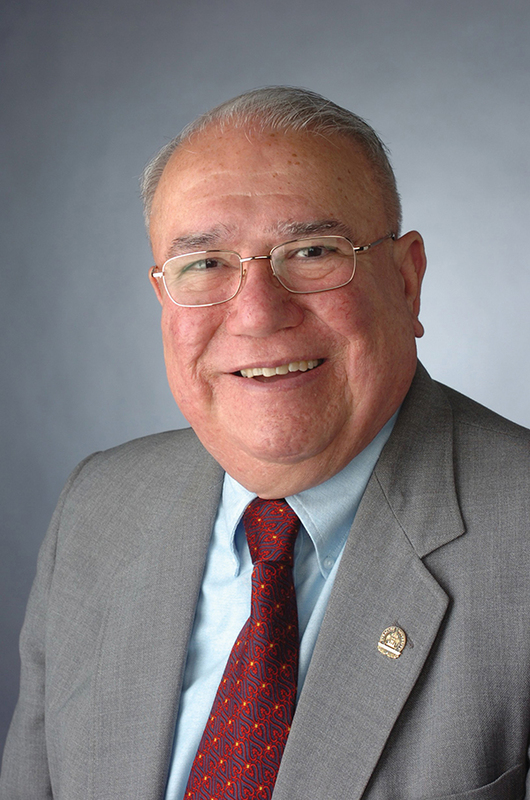 Dr. Garcia has been the recipient of a number of honors: the Distinguished Social Work Educator of the Decades and having a scholarship named in his honor (The Alejandro Garcia Excellence in Social Work Scholarship) from California State University, Sacramento; naming of an internship in his honor (The Alejandro Garcia Internship on Hunger and Poverty Policy) by the National Hispanic Council on Aging, the Herr Foundation Fellowship for Human Rights at Brandeis University, and the Scholar/Teacher of the Year Award at Syracuse University. He has also received a Lifetime Achievement Award from the New York State Chapter of the National Association of Social Workers and is a Fellow of the Gerontological Society of America, as well as an elected member of the National Academy of Social Insurance. For his contributions to the social work profession and those whom it serves, he was named a Social Work Pioneer by the National Association of Social Workers. He was named the 2006 Outstanding Teacher of the Year by the Alumni Association of Syracuse University. He was honored in November 2008 by the National Hispanic Council on Aging with its Special Recognition Award for “outstanding leadership and advocacy on behalf of older adults.” In December 2008, he was honored with the Andrus Award, the highest recognition that AARP New York awards for community service. On April 30, 2009, he was awarded the Distinguished Service Award by California State University at Sacramento.